Li-Fi is a technology for wireless communication between devices using light to transmit data and position. In technical terms, Li-Fi technology – visible light communication system – is capable of transmitting data at high speeds over the visible light spectrum, ultraviolet and infrared radiation. In terms of its end use, the technology is similar to Wi-Fi. The key technical difference is that Wi-Fi uses radio frequency to transmit data. Using light to transmit data allows Li-Fi to offer several advantages like working across higher bandwidth working in areas susceptible to electromagnetic interference (e.g. aircraft cabins, hospitals) and offering higher transmission speeds. This technology can also provide the military with high-speed, non-detectable communications that cannot be identified through the current direction-finding technology. 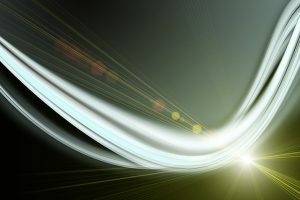 With the use of multi-frequency, high-speed communication capabilities inherent in Li-Fi, bandwidths will be freed up and can be used in critical legacy applications that haven’t converted to the newer technology. With the use of Li-Fi, inter-soldier, inter-vehicle, and inter-ship line-of-sight communications can render mobile units encompassing relay of information and orders without any verbal communication, while remaining totally invisible in the battlespace. Currently, the DISA (Defense Information Systems Agency) is in the early stages of exploring Li-Fi technology and the applicable uses for DOD. The technology was demonstrated in a classified work environment and initial pilots confirmed Li-Fi provided secure networked communication within an enclosed space. When fully developed, Li-Fi will be of high value in commercial applications, such as communication between cars and other vehicles requiring integrated high-speed motion detection; in airplane environments, where radio frequencies can interfere with navigational equipment; in hospitals, where radio waves can interfere with delicate instrumentation; and in construction, where heavy explosives are typically detonated through the use of radio signals. Other uses include streetlights in smart cities; taillight-to-headlight, vehicle-to-vehicle communication for autonomous cars; augmented reality (AR) and virtual reality (VR) on campuses, in museums, or in exhibit halls; and as a much-needed complement to other wired and wireless connectivity technologies. Without a doubt, technology is moving at lightening speed. As Li-Fi moves into more areas, it’s imperative to keep up with the changes in technology. Changes in the way cameras, motion-sensor detection systems, autonomous cars, and the like will all need to undergo certain modifications. At UKA we believe that staying on top of these changes keeps us ahead of the curve when it comes to the need to upgrade the current lenses in any device. Our team of engineers, along with our manufacturing department will work with your design to craft the precision lens that specifically meets your sought-after design.